Incredible 124-acre equestrian estate set in the serene natural Sierra foothills One of a kind property, offers luxury, privacy, security, and space. Gated entrance, curved paved driveway to a well-appointed 4300 sqft single-level home. Features 10′ ceilings, majestic 12′ livingrm ceiling. Rock arched entrance to gourmet kitchen w/ Wolf 6-burner stove, and two ovens, w/ additional, larger oven, built-in microwave, dual dishwashers, large pantry, ample drawers and counter-space compliment kitchen. Elegant simplicity with appellation wood floors, shaker cabinets, tastefully-carpeted rooms, & 8 ft Rustic Alder wood doors. Energy efficient home with 35 KW solar system energy-efficient, & 95 KW propane generator. Horse barn with 4 horse stalls, wash rack & tack room. space for a large arena, miles of trails, lead to breathtaking Rollins Lake views. 1000 sqft guest or groundskeeper apartment, equipment shed, and 2000 sqft craftsmen shop. Space and luxury with close-by Interstate 80 access. Please, send me more information on this property: MLS# 19006096 – $3,800,000 – 28555 Rollins Lake Road, Colfax, CA 95713. 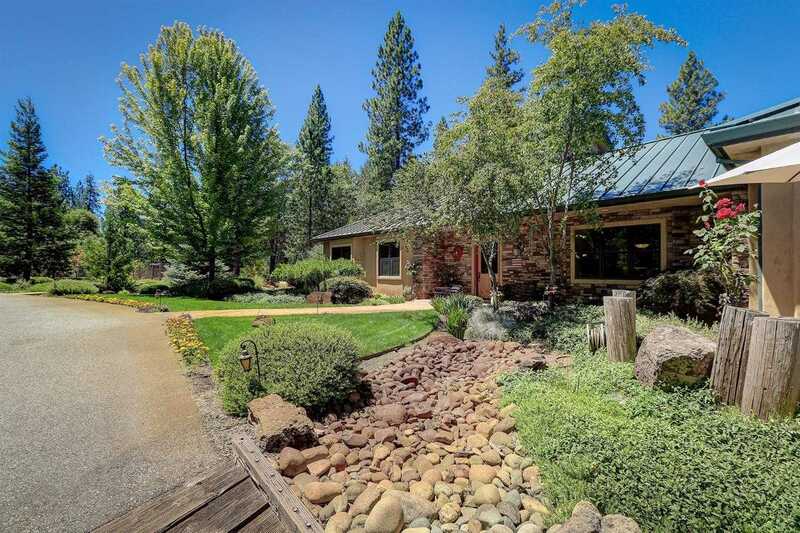 I would like to schedule a showing appointment for this property: MLS# 19006096 – $3,800,000 – 28555 Rollins Lake Road, Colfax, CA 95713.